In a bowl combine the mayo, capers, relish, mustard, peppers, olives, eggs and tuna. Mix to combine. Season with salt and pepper. 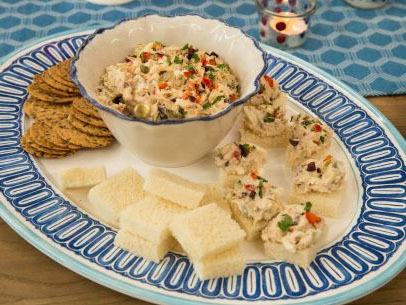 Serve on the quartered white bread and the sesame crackers.